All the action will be available to watch live on Viaplay, TV3 Max and TV3+ in Denmark and Sport1 in Germany. Limited tickets are still available via www.ticketmaster.dk. 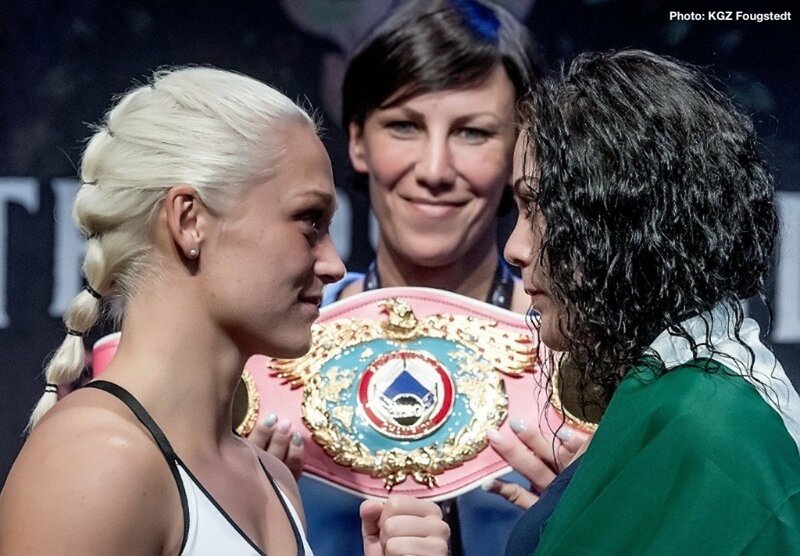 At a press conference today in Copenhagen, Munoz says there is no doubt she will be taking the WBO’s World title home, and believes her Mexican heritage will prove the difference in Saturday’s championship contest. “This is a World title fight so of course I am well prepared,” said the 27 year-old from Agua Prieta, who is accompanied by coach Francisco Garcia. “I’ve had a good training camp and done everything possible to ensure the belt will be coming home with me to Mexico. “I’ve fought Irish, Swedes, Norwegians, Americans, Poles and French. I’ve fought many different boxers from many different countries. Fighting a Mexican will be no problem for me,” claims Thorslund.